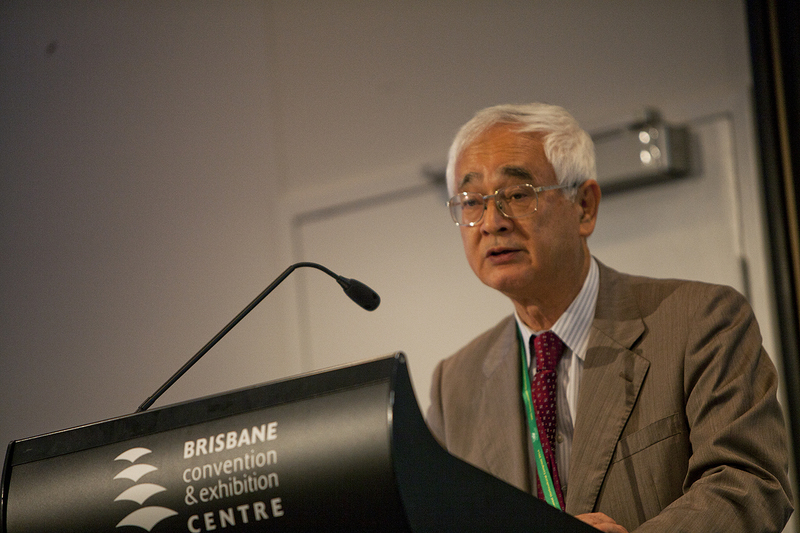 Chief-Director of the Japan Plant Factory Association Professor Toyoki Kozai, PhD, shared his findings on the effects of lighting, air and temperature control at a symposium on new technologies in protected cultivation at the 2014 International Horticultural Congress in Brisbane yesterday. “There are many factors that affect the crop yield of greenhouse plants – light, CO2, temperature, humidity, air current speed,” he said. He said the plants grown in Japan’s factories are not only greater in bulk, but free of insects, pesticides and foreign contaminants. In Professor Kozai’s plant factory model, vegetables are grown in an insulated structure equipped with environmental control systems which regulate the levels of light, CO2 and nutrients each plant receives. They are stored in multilayer warehouse-like shelves capable of holding thousands of individual vegetables. The structures are nearly airtight, allowing in oxygen but preventing airborne contaminants from entering the greenhouse. This, combined with the highly controlled environment of the plant factories, enables plants to be produced in almost any location with access to water and electricity, regardless of season. Professor Kozai said areas that would benefit most from greenhouse vegetable cultivation are those where space is limited for traditional open-field farming of vegetables. “Vegetable producers in urban areas may enjoy using plant factory cultivation,” he said. While there are currently no plans to introduce these technologies in Australia, Professor Kozai said he would be interested in working with Australian scientists on cultivation projects in the future.